For about the last year, I’ve been reading comic books. A lot of comic books. I’ve read several thousand in the past 14 months. It’s what I do in the evenings instead of TV. Comics, comics, comics. I’ve read every Transformer comic several times. The whole run of Transmetropolitan was devoured over Christmas. Captain Marvel, Guardians of the Galaxy (v2 and v3), Batgirl (every non-Babs book), Ms. Marvel, Nova, Saga, and the list goes on. So. Many. Comics. Trust me, I’m going somewhere with this. After immersing myself in comics so much, it started to seep into my gauge designs. It took a while, but slowly I tried to expand my artistic horizons. 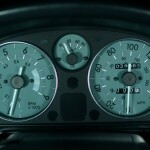 Perhaps you recall the pony gauges? I wanted more. I wanted something HARD. I took every challenging order I could get and put everything I had into it. 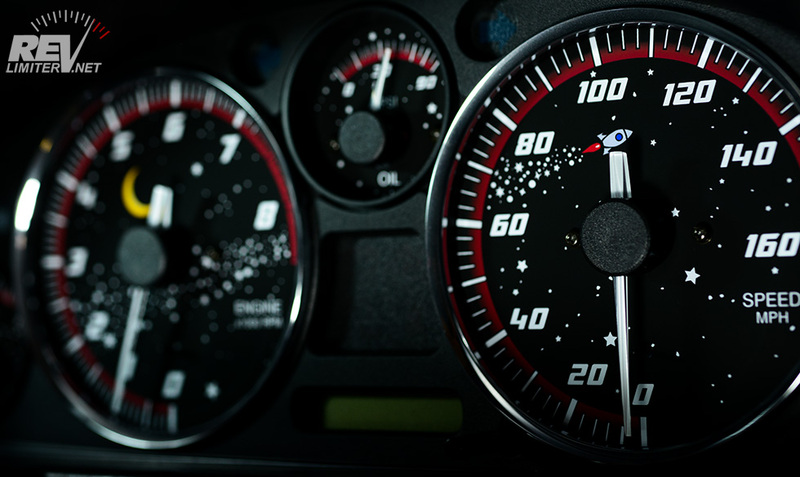 One of those orders was this set of Starship gauges. No one has ever been more proud of a tiny rocket than me. It was an order for a star-themed gauge done in the style of the late Dewa-san. The customer really liked Dewa’s Into the Blue and Blue Star gauges. And he’s not the only one – I’ve always loved these designs. When the chance came to do an homage to them, I jumped. Instead of having a star shoot across the gauges in Dewa-san’s style, I drew this little rocket ship. Seriously, no one in the history of time has ever been more proud of a tiny rocket drawing than me. And having the stars shoot out across several gauges? I’d never done a design element like that. Months later, I’m still hugely proud of this set. I was hooked. 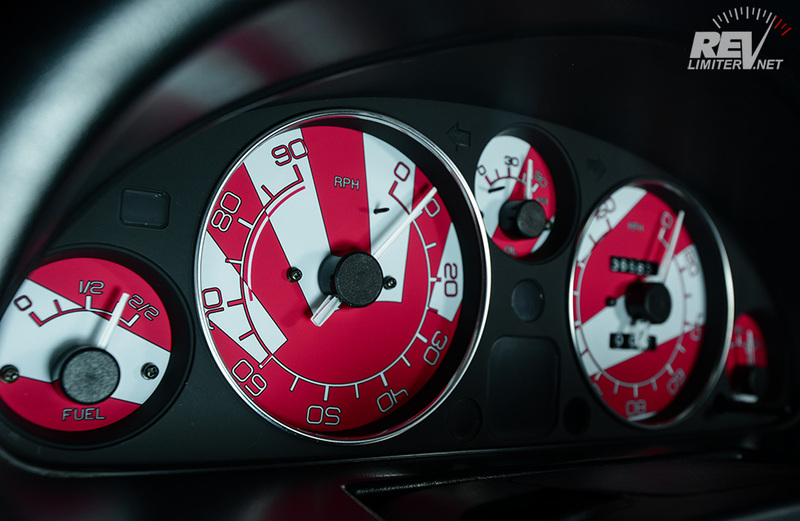 I wanted to do more fun gauges. Then I got the order for these Rising Sun gauges. It’s not quite the same thing as drawing cartoon rockets, but it was incredibly challenging. I’d never juggled so many layer masks and a huge single element that stretched across the whole cluster. It was incredibly difficult. Note the intricate white/red masking on the scale and text. 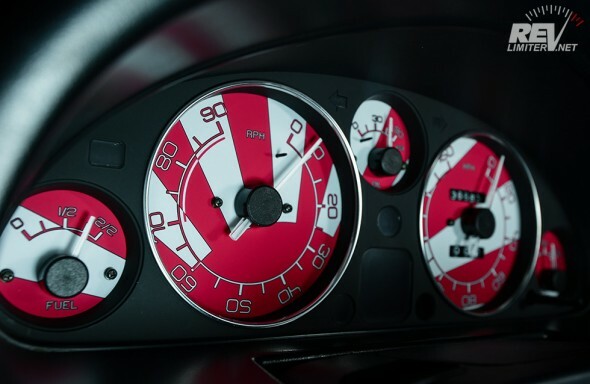 A quick note about these gauges: I know the Rising Sun design offends some people. I’m very sorry about that. It’s not my intent to offend by posting them. I am just incredibly proud of my work here. They’re not intended to be a political statement or anything like that. I was commissioned to make this set and I did so. The night mode was even more challenging than the standard view in the daytime. Outlining all of the sun and ray elements and shading them to light up somewhat evenly… not easy. But SO much fun!!! 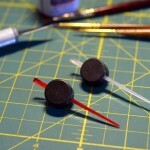 They were the most technically challenging gauge set I’d ever made. 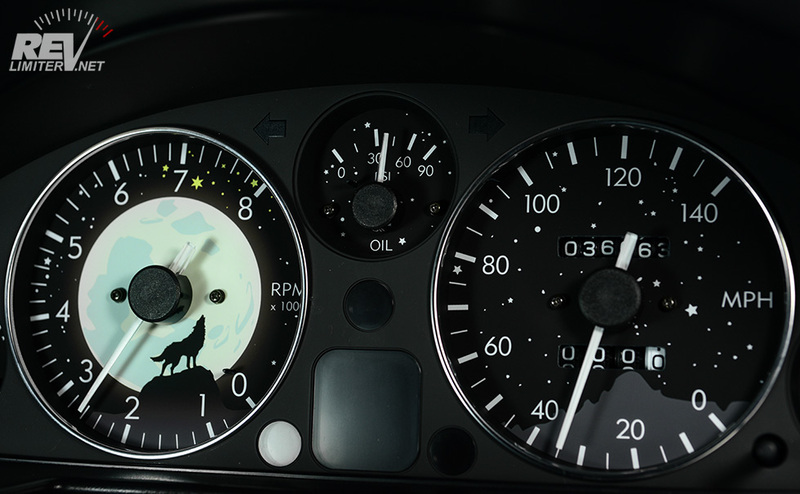 Corey, a long-time ClubRoadster member and friend, contacted me about a set of wolf gauges. 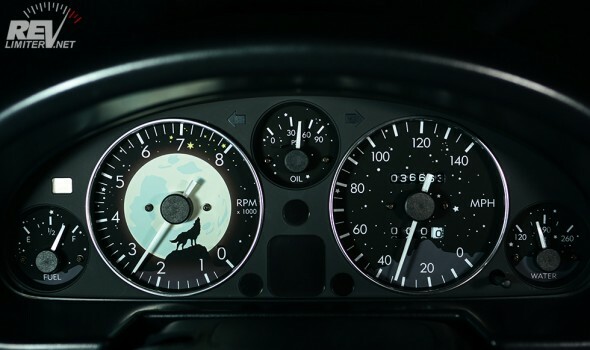 He had a small outlined logo and wanted it somehow integrated into some Warbird gauges. I worked on it for about an hour, shoved it here and there, and just couldn’t make anything work. It looked like either an un-cool teeshirt or a bad tattoo. He deserved better. I wanted to do better. I got the idea for a wolf and moon theme. I think I mentioned “I have an idea” to poor Corey before launching into insanity mode. Version Lobo is the result. I quickly sketched up a howling wolf standing on a hill. The gold and green moon started out as a photo I took years ago. I inked over top and added a few embellishments and it was perfect. A bit of diffuse glow and gradient shading on the wolf and hill and the tach just came to life. 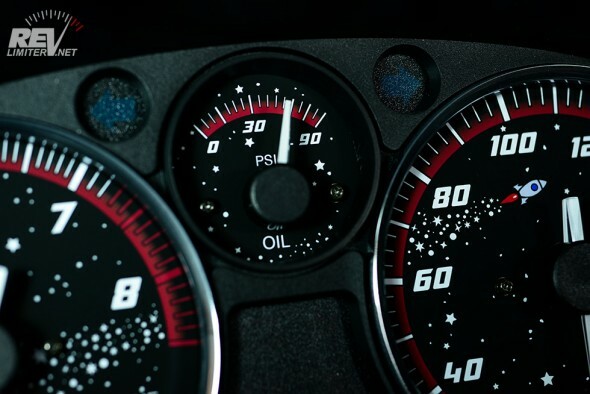 I then added matching landscapes to the other three lower gauges and popped some stars into the sky. I’m all about stars lately. 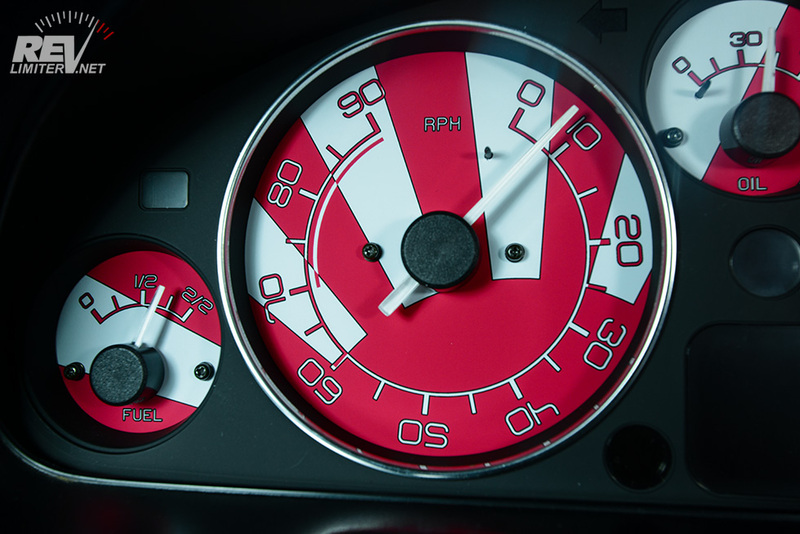 When I got the gauges made up and in the pod for photos, I was… smitten. I was a fan of my own work. That’s never a good thing – like a comedian laughing at their own jokes. But, well, yeah. I love these gauges. I really wanted to keep them. I was worried the moon would be overpowering at night, so I turned it into a crescent. I also dimmed it by 50% to keep the lit portion from being too bright. The hills aren’t visible at night. Just moon and stars. I wanted to keep these. So. Comics. I have no other explanation. I wouldn’t have produced anything like this a year ago. Suddenly, I’ve got stars and rockets. 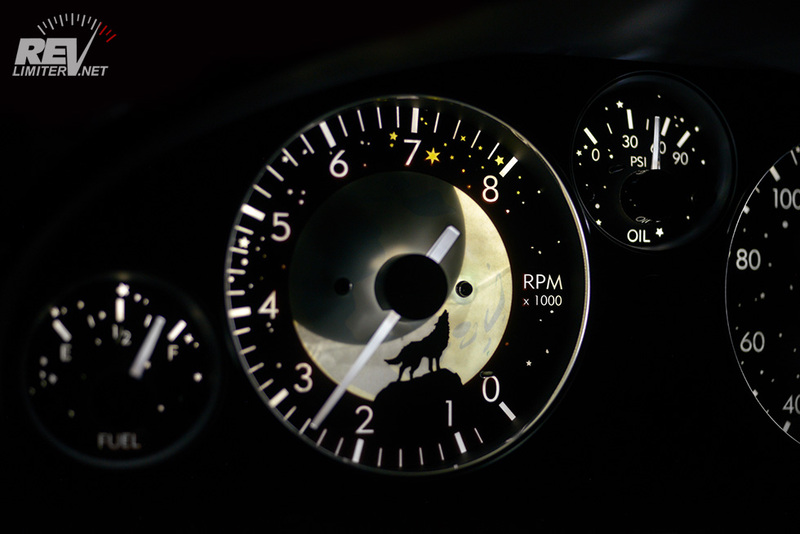 Moons and wolves. Huge flag designs. Who ever said reading comics was a waste of time?! I think Sharka needs a new set of gauges. More Vent Rings! And a contest. Wow, these are stunning! I really like the idea of stretching one image across the entire panel. Starship isn’t loud, but you have a ton of nice touches in there. The best part, though, is the transition to night mode. It’s like a completely different interpretation of the same image. Rising Sun at night is SO COOL. Thanks Sam! 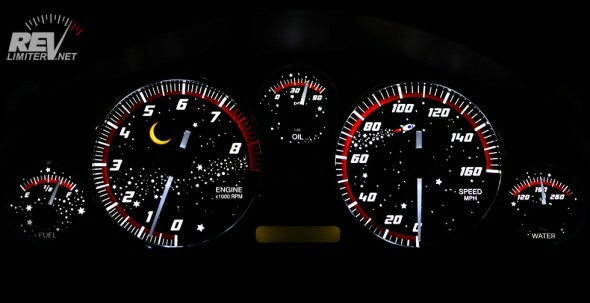 I love trying to come up with a new way to show the gauges at night. Sometimes it’s required like with the moon – having the whole thing light up would way overpower the actual gauges, so some of it had to be removed. But other times, it’s very much a stylistic choice. I would LOVE to do a shuttle themed set!! That could be pretty awesome. Adam, I think you truly understand why we own Miatas. It’s just plain fun, and happens to be a car. Not too many people seem to get that about our cars. Also, I’d recommend Naruto if you’re up for an epic. The manga was great to read, and the anime (at least the non-filler episodes) really fleshes out the comic nicely. After reading it for some 12 years, it finally ended last year. 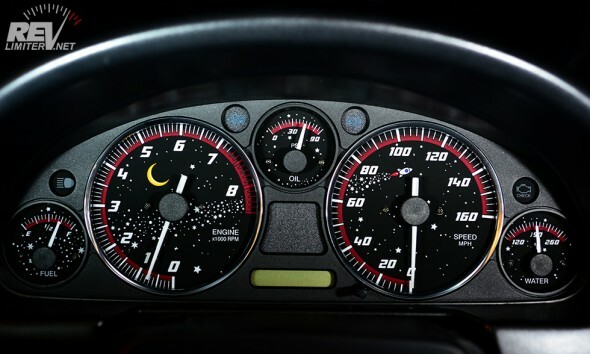 Another one of my favorites (both anime and manga, for different reasons) is Initial D. I don’t know that I’d ever want a set of gauges based on either of these series, I figure it relates to your post well enough. Keep up the good work! Thanks, yet again. 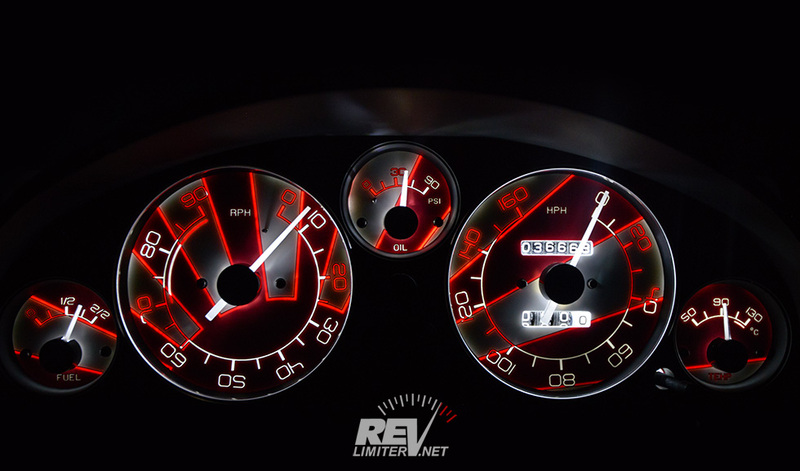 I have those gauges hanging up on my wall waiting for the day they get to go in the car. I can’t wait to see the car these finally go in. Wow,that moonscape is… Simply. AMAZING. Thanks Star!! When I lit it up, I just stared at it for a while. 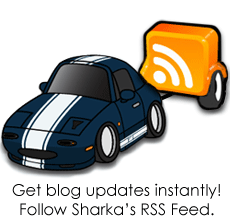 Your work literally is the deciding factor… I am getting a Miata! There can be no finer complement. Thank you Richie. 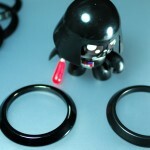 One day I want to order a set. Problem is, my imagination is going to let me down! 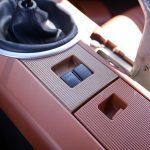 Products sold on this site are for Off-road and Competition use only. This website intended solely to provide general guidance on matters of interest for the personal use of the Reader of this Page, who accepts full responsibility for its use. All products as well as information provided "as is," with no guarantee of completeness, accuracy, or timeliness, and without warranty of any kind, express or implied, including, but not limited to, the warranties of performance, merchantability, and fitness for a particular purpose.